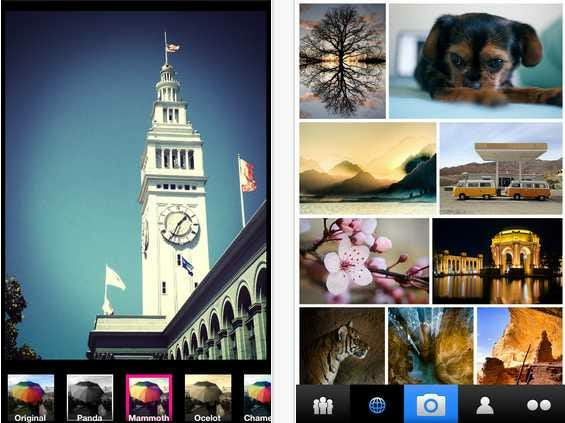 Yahoo just totally revamped its Flickr app for iOS with Instagram-like filters. Yahoo hadn’t updated the app since last year, so new Flickr fits in quite nicely with Yahoo CEO Marissa Mayer’s commitment to a mobile-first strategy. The new app features a simpler sign-up process, 16 camera filters and full groups capabilities, which used to only be available on Flickr.com. Unlike Instagram, Flickr provides support for Twitter, in addition to Facebook, Tumblr, and email. Earlier this week, Instagram pulled the plug on Twitter, making it no longer possible to view Instagram photos in your Twitter stream. SEE ALSO: Why In The World Should Instagram Allow Twitter To Scrape Its Photos? 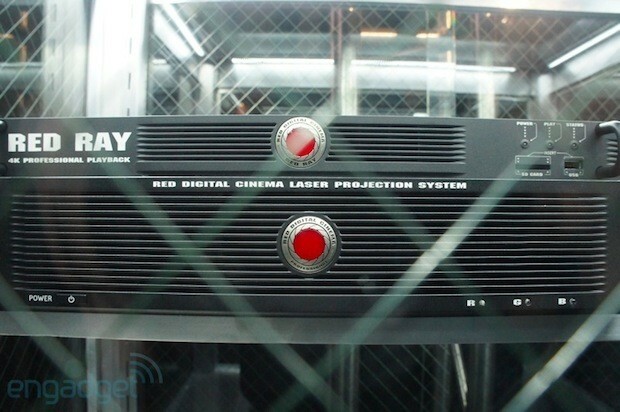 We got a peek at Red’s Redray 4K Cinema Player and Projector back in April at NAB, but now you can bring the player portion of it to your own home very soon. You’ll need to bring your own 4K Ultra HD display but for $1,450 you can pre-order a unit capable of native 4,096 × 2,160 or 3,840 x 2,160 video playback (in .RED file format) and upscaling. It connects to 4K displays via one HDMI 1.4 port or 4 HDMI 1.3 ports, with an additional HDMI jack needed to push 7.1 audio. It’s even ready for the new high framerate 3D video that we’ll see debut at theaters next week with The Hobbit. There’s no mention of the Red Laser Projector yet, so you’ll have to BYO 4K display, which right now would probably mean something by LG or Sony. To get content home Red is also launching its nationwide fiber-based Odemax.com over-the-top distribution network. Red co-owner Jarred Land calls it the “only comprehensive distribution solution for 4K,” with built-in DRM, sales and analytics tools. He goes on to say that the Redray player will begin shipping at the end of December, with volume shipping promised in Q1 2013. A new RRencoder plugin for the Redcine-X viewer will launch in mid-December for converting external footage to the .RED format, and finally Odemax is scheduled to come online in January in time for the Sundance film f! estival. Check for more details after the break, plus a few more pics and a press release with all the specs. Walmart may be the king of retail in the physical world, but on the internet, it’s still a challenger. Jeremy King, a Silicon Valley engineer who built key parts of eBay’s infrastructure, joined global retail titan Walmart in the summer of 2011 as CTO of Walmart.com. Farhad Manjoo interviewed King for his great story on Walmart’s evolution at Fast Company, and the engineer described the “irresistible pitch” that CEO Mike Duke gave him over a videoconference call, luring him into the job. 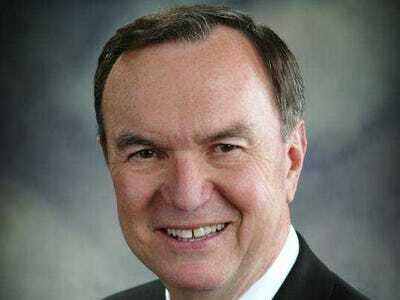 King now heads @WalmartLabs — the company’s skunkworks. He has been tasked with bringing Walmart into the rapidly morphing world of e-commerce. That means reinventing the shopping experience — both in-store and online — and facilitating Walmart’s digital transformation. And, judging by Duke’s pitch, it looks like he has his CEO’s full support. Please follow Retail on Twitter and Facebook. Today’s retailers have uncovered the science behind shopping. Your favorite mall stores actually hire such retail researchers as Paco Underhill, author of Why We Buy: The Science of Shopping. Underhill has tracked hundreds of thousands of shoppers to study how they shop. 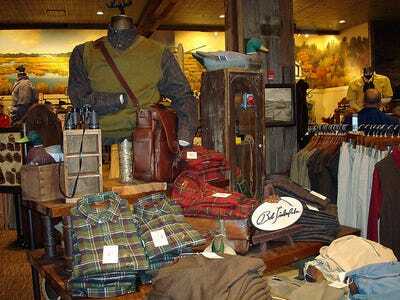 “There is nothing random about how a store is arranged and designed. 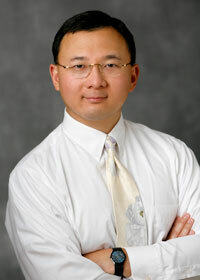 It is carefully calculated to appeal to you in every possible way,” he says. “The stores have a plan, so you should, too,” says Dave Ramsey, best-selling author of The Total Money Makeover and host of a syndicated financial talk show on the radio. We can learn a lesson in Underhill’s book from a story told by a retailer about a tempting display of T-shirts. hey’re not always a good deal for you if you’re not familiar with the store merchandise and its regular prices. “You’re not saving if you are actually spending more than you planned,” says Underhill. “Retail shopping studies have found that most people turn right when they enter a store. That’s because the majority of the population is right-handed and right-oriented,” says Underhill. Knowing this, stores highlight tempting new items and trends to the right of the entrance. You’ll find that the music is louder and the displays are brighter to attract you where you will look and turn first. This is also where the most expensive items in the store are generally displayed. Please follow Your Money on Twitter and Facebook. There’s another startup worth a billion dollars. Zulily, a Seattle-based daily-deals site for moms and kids, just raised $85 million from Andreessen Horowitz, a venture-capital firm that backed Instagram and Skype. Specifically, Jordan praised Zulily for finding a niche where it could successfully compete with Amazon.com, by carrying goods from lesser-known designers who lacked broad distribution. Zulily also broadened from carrying children’s apparel typically bought by moms to offering women’s apparel and housewares of interest to that customer base. It has attracted 10 million shoppers to date. A year ago, Zulily raised $43 million in a deal that valued the company at $750 million. The company didn’t disclose its valuation in this round, but Fortune’s Dan Primack says his sources tell him the company’s now valued at $1 billion. TED.com is just about the best place to hang out online if you have a few minutes to kill. That’s because it offers free recorded lectures given by brilliant people doing amazing things in areas including technology, entertainment, design, business, science, and global issues. And what’s cool about it is the talks are tagged so if you’re in the mood for something inspiring or funny, for example, you can get just the kinds of videos to do the trick. Here are a handful of insightful TED talks posted this year that every entrepreneur should check out. Shawn Achor explains how to change your perception of reality to produce better work. Psychologist Shawn Achor doubles as a comedian in this talk, during which he says the lens through which your brain views the world shapes your reality. “And if we can change the lens not only can we change your happiness, but we can change every single educational and business outcome at the same time,” he says in this highly entertaining video. Drew Curtis discusses how he defended his business from a patent troll. When Fark.com was sued by a patent troll “…for the creation and distribution of news releases via email” alongside companies such as Yahoo, MSN, Reddit, AOL, and TechCrunch, the eight-person company stood its ground. “I had hoped to team up with some of these larger companies and defend against this lawsuit but one by one they settled out of the case even though not one of these companies infringed on the patent,” says Drew Curtis, founder of Fark. The reason? The average troll defense costs $2 million and takes 18 months if you win. He proves that little guys don’t have to let themselves get bullied with ! frivolou s lawsuits. Julia Burstein gives 4 lessons in creativity. “We have to stand in that space between what we see in the world and what we hope for, looking squarely at rejection, at heartbreak, at war, at death,” she says. As we reach the end of October, more consumers are focusing their sights on December. As of October 21, about half the consumers surveyed in the Compete Holiday Intelligence™ survey had already begun shopping for the holidays, up 5 percent in 2 weeks. In fact, almost 1 out of 10 consumers had already finished half of their holiday shopping. While more consumers got into the holiday spirit last week, they did not favor any one particular category. Shopping was up across almost all product categories. One of the most noticeable changes that occurred over the past few weeks was the decrease in gift card shopping and the increase in photo gift shopping. Perhaps consumers shop for generic stocking stuffers early and are now focusing on more personalized gifts. Mass merchants continue to be the preferred destination for early holiday shoppers. Both in store and online shopping at these retailers increased last week compared to the first week of October. It is interesting to note that while Walmart in store purchases increased more than Target in store purchases, the opposite is true online. 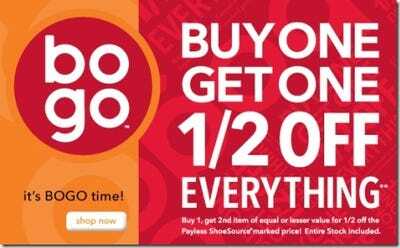 Target.com purchasing increased 150 percent whereas Walmart.com shopping only increased 58 percent. The Compete Holiday Intelligence™ survey is your source for holiday insights. Be sure to check back in the coming months as we continue to track consumer shopping. Amazon is using its heavily trafficked front page to trash the iPad mini. As you can see below, Amazon does a head to head comparison with the Kindle Fire HD and the iPad mini. The Kindle Fire HD comes out on top. The reason for that is iOS, Apple’s mobile software which is vastly superior to Amazon’s tablet software. The real question for people looking at buying a tablet is whether or not it’s worth paying an extra $130 for an iPad mini which has better software and a bigger library of apps. Also, we should get official reviews of the iPad mini this week, which will give us better independent comparisons. 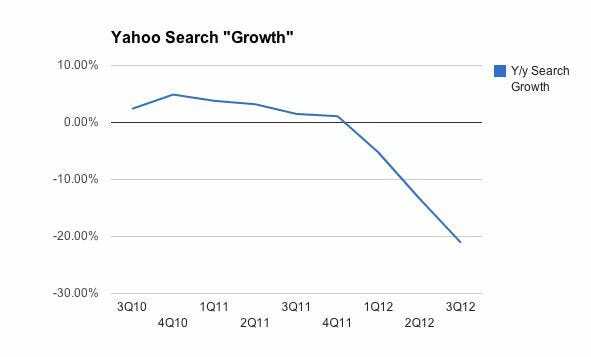 Yahoo’s search share is tanking at an alarming rate. That’s a problem because search is a pure profit center for Yahoo. Rohan decreased his Q3 revenue projection for Yahoo $80 million and his EBITDA projection $70 million. 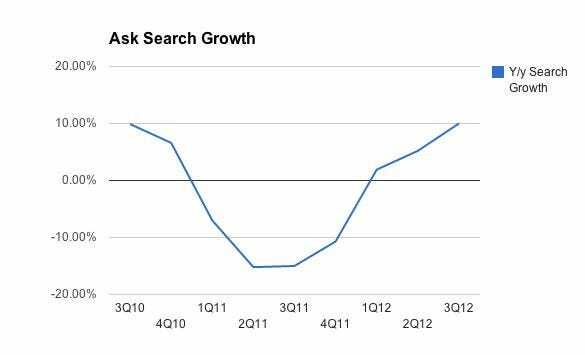 Yahoo outsources search tech and search monetization, and Yahoo.com isn’t growing much at all. You might think that this kind of atrophy is normal for a company in that position. You’d be wrong. 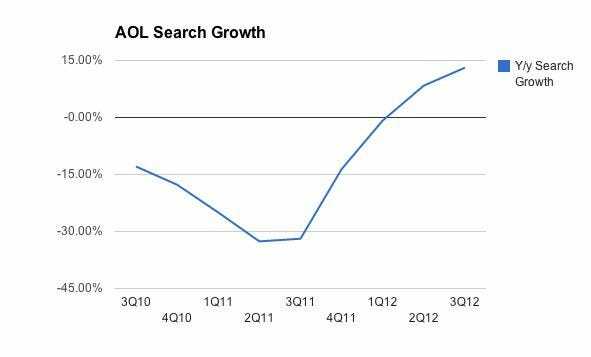 The silver lining for Yahoo, YHOO owners, and Mayer is this: Looking at AOL and Ask reveals search growth can turn around. It might help for Yahoo to switch to Google. The DoJ barred Yahoo from doing that back in 2009, but it’s obviously a different era ! now. 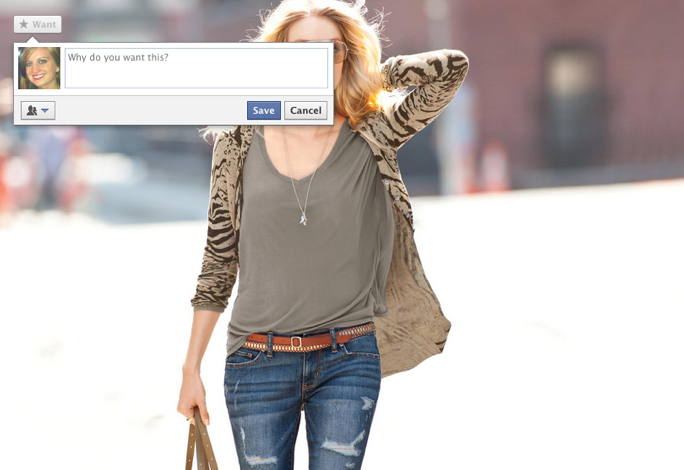 Even though Facebook is actively and openly testing a “Want” button, chances are you won’t be able to see it. Intrigued since rumors flooded the internet earlier this summer, I wanted to see what the highly anticipated button looked like for myself. I wanted to “Want” something. Collect? But, I didn’t want to collect, I wanted to want! Confused, I went to the other six testing retailers (including Pottery Barn, Fab.com, and Michael Kors), but they all would only let me collect, too. You see, although everyone’s eyes went to the “Want” button in Facebook’s testing announcement, many overlooked that the social media giant is testing a “Collect” and a “Like” (yes, another “Like,” for products not people) button, too. Users are pre-selected to only be able to do one action. “We’re testing to see what does the best,” she said. “Who’s to say what we’re going to do in the future.” Facebook won’t say whether it will launch just one, two, all three … or none. Still determined to see a want button, I forced a healthy chunk of the office to go to the Victoria’s Secret page to see what button popped up. Ten people I approached in a row were also in the “Collect” group, followed by two with “Like.” (Yawn). It wasn’t until I got to Ashley Lutz, our retail reporter (appropriately enough), that I found someone in the “Want” group. So chances are, if you’re desperate to click the “Want” button, you’re going to have to go through a handful of friends before you find it. And enjoy it while you can, because it could easily be scrapped if the other two actions yield a better performance. Although, the “Collect” button actually appears to offer more features than “Want” or “Like.” Taking a page out of Pinterest’s e-book, you can place the products you’re interested in in different categories like fashion, home, and shoes.